Look, I like Chelsea Peretti. Her podcast is hilarious, her standup is great, her work on Brooklyn Nine-Nine is great. 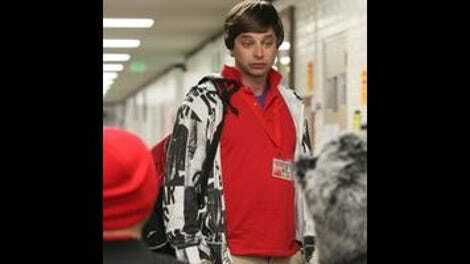 But I think I can only deal with about a minute of her Kroll Show character Farley at a time. This is a show that mocks the annoying personalities of reality television, and Farley is definitely a frequently-recurring type that needs mocking, but oh boy, is Chelsea Peretti good at dialing up the annoying-meter. Farley is the star of one sketch today and featured in another, and does her best to be insanely grating in both. The Trial of Armond, played out largely through the television show Can I Finish? (which had a brief appearance in season one), reached a satisfying conclusion, with Ron Funches providing adorable if harmless defense to Jenny Slate’s crazed DA Ruth Diamond Phillips. None of it made any sense, of course, but it wasn’t really supposed to—down to the exasperated judge (played by co-creator John Levinstein)—the whole thing reeked of the OJ trial, with an angry Nancy Grace-type host yelling from her soapbox on a show called First to Judgment with Dana Hawke. Perhaps the whole thing was a little too anarchic, but it let Kroll Show use Andy Daly as connective tissue, yelling nonsensical jokes as the host of Can I Finish? and frequently throwing to the very welcome Bob Ducca, who appeared this time as a men’s rights advocate. When Kroll Show gets this spiritedly insane, it does so by reaching into its deepening ensemble and letting them riff for a few minutes at a time, and that’s usually a good idea. Armond eventually gets off on a mistrial, but there was also the suggestion in there that perhaps his wife isn’t dead at all, since she texted Farley. Could there be a late-season plot twist on the way there? The other major sketch of the night was The Ballad Of Bobby B: A Musical Hip-Hopera. What exactly was going on here, I’m not sure. The R. Kelly influence was undeniable, and the Craig Robinson cameo welcome, but as I said before, there’s only so much of Farley and Bobby yelling at each other that I can really take. The ridiculously self-aggrandizing sketch was sold by the final credits (Bobby and Peter were responsible for most everything), but Robinson’s “Trippy D” character didn’t get much to do to distinguish himself. I also don’t know what to make of Dad Academy at this point. Usually Kroll Show spoofs reality TV so well it’s hardly distinguishable from the real thing, but this thing is chaotic to watch. Maybe it was just part of the whole episode’s vibe (without an Oh, Hello or Wheels Ontario to cut to, everything was very kinetic), but it’s always kinda hard to tell what’s even going on with C Czar. But hey, there was Laura Dern playing his mom, busting out of a halfway home! If nothing else, I can’t deny that she’s game for anything. Again, a bit of a waste of a fantastic guest star, but hopefully she can pop her head back in in the future. Brody Stevens brought his typical high energy to Dad Academy, always welcome. “It’s hard to listen to you, there’s something about you that’s just so incredibly sad,” Andy Daly says of Bob Ducca.